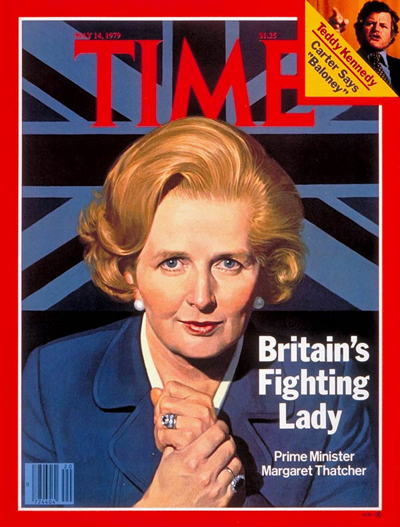 Margaret Thatcher, prime minister of Britain from 1979-1990, departed this world yesterday morning and, I hope, has entered into an eternity without the pain and weakness she had to endure over the past few years. Raised a Methodist, daughter of a middle-class grocer, not born into privilege, she had to work hard to earn a university degree, become accepted into the gentleman’s world of politics, and rise, improbably, to the highest elected office in her land. 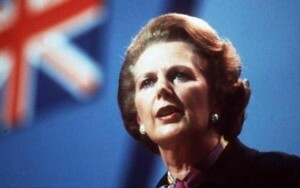 Determined, conservative, and confident in the rightness of her beliefs, she brought Britain back from the edge of a socialist abyss and restored prosperity through the privatization of industry and controls on spending. If nothing else, she showed that a nation can be rescued from the brink of disaster, thereby offering hope for America at this critical time in which we now live. Even before she took the leadership of the Conservative Party, and before her prime ministership, her indomitable spirit earned her the epithet “The Iron Lady,” a nickname that first came from the Soviets. She always liked it. 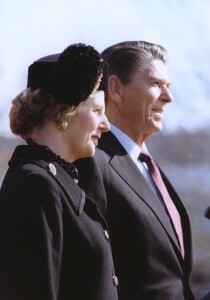 Throughout the 1980s, she partnered with Ronald Reagan to reverse the tide of Soviet aggression; the two saw eye-to-eye on almost everything, united in philosophy and faith. He called her Maggie and she referred to him as Ronnie. They got on famously, a relationship built on mutual respect, and one that, for at least a brief moment in history, led to the ascendance of liberty over totalitarianism. In addition, both followed policies that revived their ailing nations—policies that now have been abandoned, the sad consequences of that abandonment becoming more evident over time. Thatcher spoke her mind and never minced words. She told it straight. By doing so, she developed an avid following of admirers on both sides of the Atlantic. The critics were just as avid. Gentlemen, if we don’t cut spending, we will be bankrupt. Yes, the medicine is harsh, but the patient requires it in order to live. Should we withhold the medicine? No. We are not wrong. We did not seek election and win in order to manage the decline of a great nation. There are dangers in consensus: it could be an attempt to satisfy people holding no particular views about anything. No great party can survive except on the basis of firm beliefs about what it wants to do. To me, consensus seems to be the process of abandoning all principles, beliefs, values, and policies. So it is something in which no one believes and to which no one objects. When I’m out of politics, I’m going to run a business; it’ll be called rent-a-spine. If my critics saw me walking over the Thames they would say it was because I couldn’t swim. I think our world needs more Margaret Thatchers. 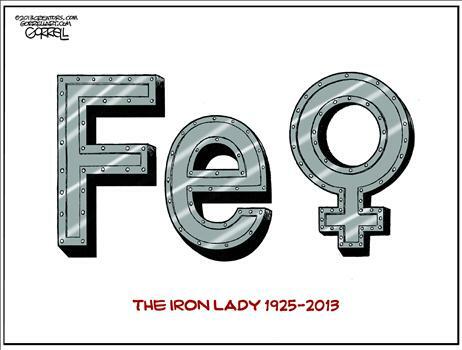 Iron Lady indeed. I never say “rest in peace.” If we are in the presence of God, we will always be busy, but we will enjoy our tasks. I believe Margaret Thatcher is already about her Father’s business in her new location. She is content, but we will miss her. May many more conviction politicians fill the gaping hole she and Ronald Reagan have left.